Federal Judge Christina Reiss has ordered the Public Service Board to open its upcoming hearing on the Vermont Gas Systems pipeline to the public. 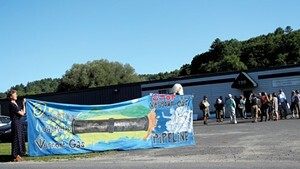 In a move observers called unprecedented, the PSB announced last month that the public would not be allowed to attend its session Thursday on Vermont Gas’ eminent domain hearing, meant to enable construction of its pipeline through Geprags Community Park in Hinesburg. 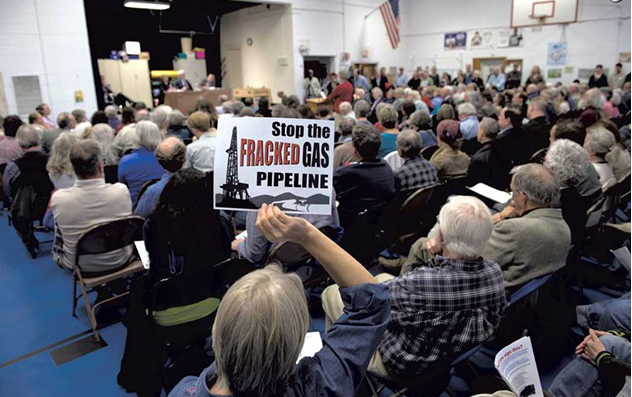 Opponents of the natural gas pipeline have repeatedly disrupted earlier hearings. The PSB later clarified that members of the media could attend, and it planned to live-stream the event. But on Monday, Reiss ruled in favor of Lisa Barrett, a retired attorney who took the PSB to court in an effort to open the hearing. Reiss did not grant Barrett’s request to compel the PSB to move its hearing to a venue that could accommodate more people. The hearing is being held at 190 Junction Road in Berlin in a room that can hold 48 people.